Boca Auto Accident Attorney, Robert Gluck from the Law Offices of Robert E. Gluck, P.A. has managed many auto accident cases over the course of his career. If you have been injured from an auto accident, you need to contact Robert Gluck immediately. He has been a lawyer since 1989 and has the experience you need to help with your case. He will immediately open a thorough investigation into the accident to determine if there was negligence and who was at fault for your accident. Negligence exists when one does not meet the legal standard in order to avoid causing harm or injury to others. 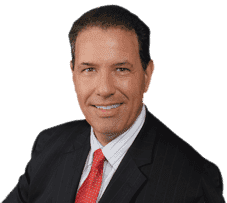 As your Boca Auto Accident Attorney, Robert Gluck will make sure his investigation is detailed and complete so he can build a strong case for you. He will locate and interview any witnesses to get their statements, take photos of the accident scene, locate and secure any video footage of the accident, inspect any property damage from the accident, and locate any other necessary evidence that will add to the strength of your case. Studies have shown that when you're represented by an Auto Accident Attorney, you tend to receive higher compensation than if you decide to pursue this matter on your own. Auto accidents result from many different factors. Sometimes they are a result of equipment failure, poor road maintenance, roadway design problems, or poor traffic signals. Your Auto Accident Attorney in Boca, Robert E. Gluck, will look into all of these factors to insure you receive the proper compensation you need in order to heal from your injuries and move forward with your life without the added stress of medical expenses.